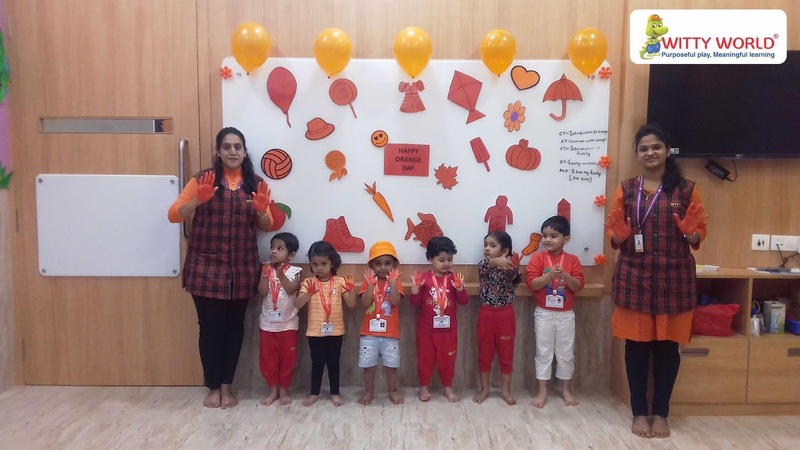 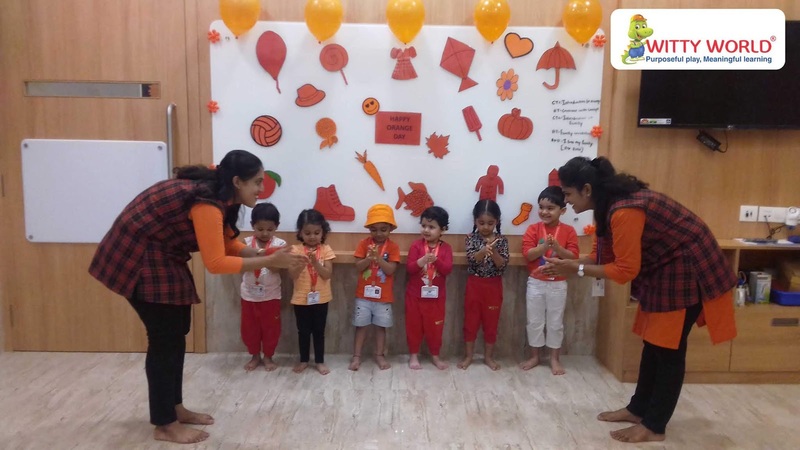 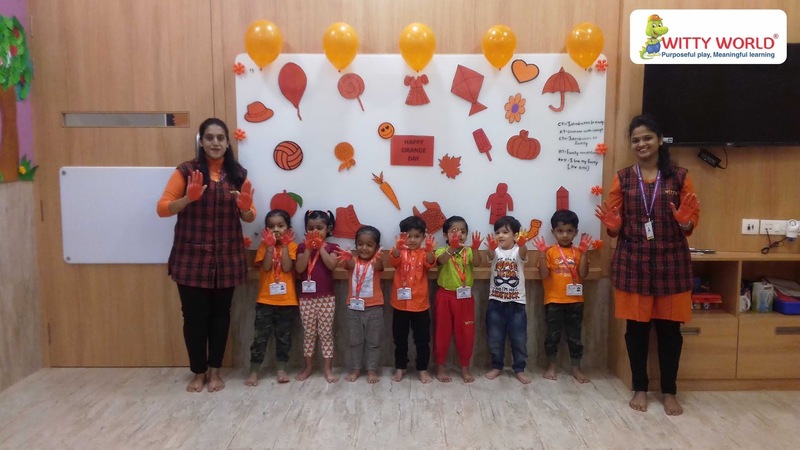 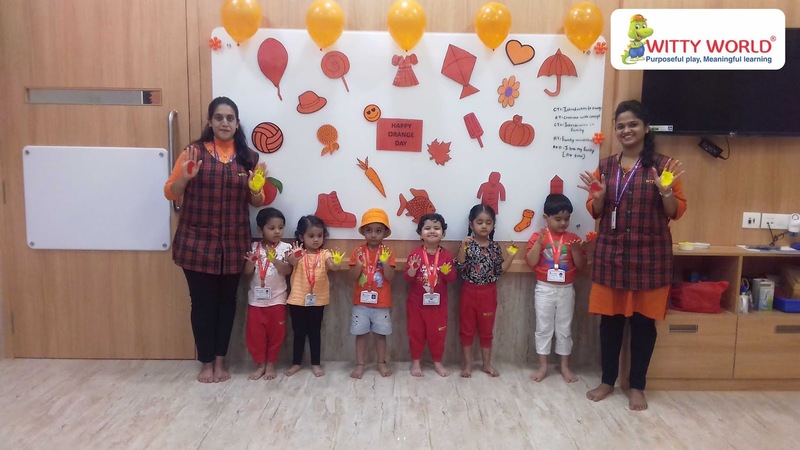 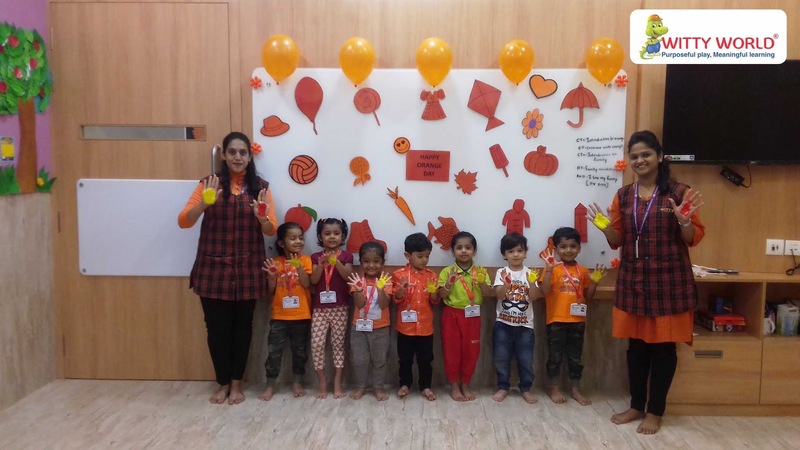 "Orange Day" was celebrated at Witty World Goregaon East on Wednesday, 8th August 2018 with great enthusiasm. 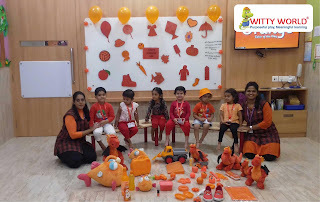 Orange is a dynamic colour and stimulates imagination and creativity. 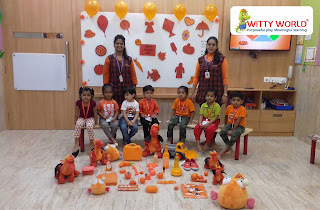 Our little Wittians came dressed in different hues of orange. 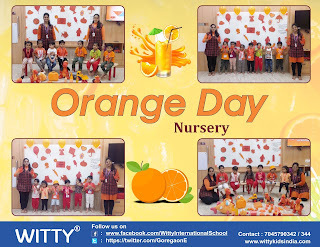 The classrooms were vibrantly decorated, which added to the spirit of the day. Recognition of the colour was done with the help of different concrete objects that constructively reinforced the concept of orange colour. 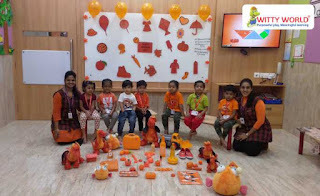 To add zing, teachers and the children did an activity of mixing red and yellow colours which turned orange colour.